The charges mentioned above are for a period of upto 30 days and in multiples of 30 days thereafter. Please fill in the form below to post your ad on website. The maximum file size is 4 MB per image. 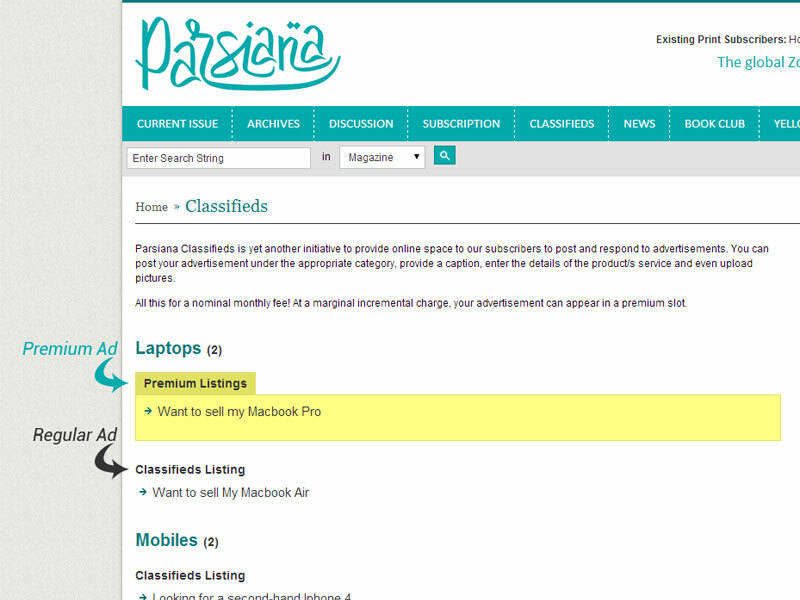 Premium Ads will be highlighted and displayed above the regular listings.